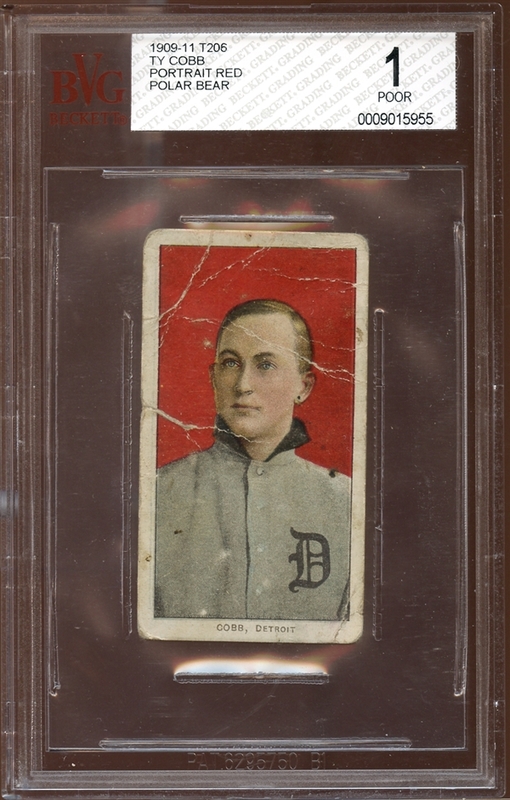 One of the key cards in the expansive T206 series, if you've always wanted an affordable red background Cobb or need to fill that hole in your modest T206 collection, here's your chance. Though clearly showing creases, the centering is very good and the corner wear isn't as extensive as the grade suggests. 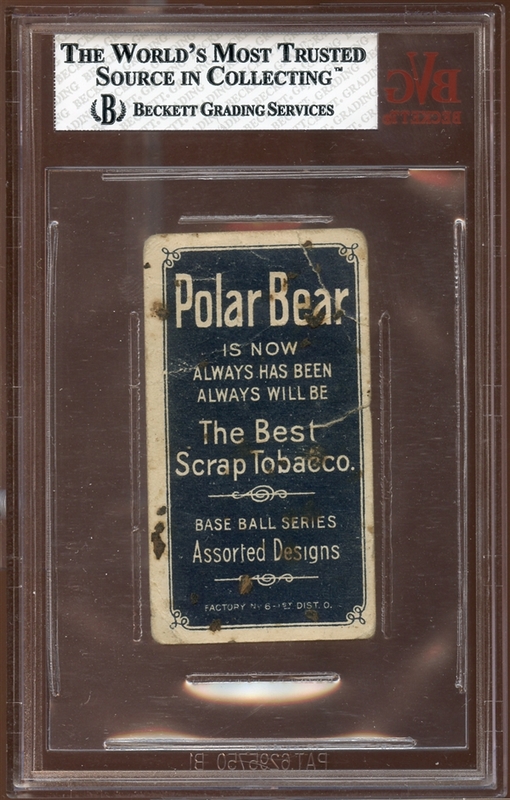 Polar Bear reverse.